We’ve already featured series of articles describing the history of such companies as Canon, Leica, Nikon, Olympus and Sony (available only in Polish on Optyczne.pl). 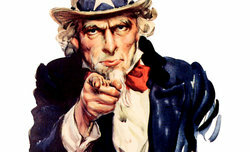 Many people have been asking us afterwards to publish next parts, with the history of others foreign optics producers. However, all have forgotten about our native company, producing optical devices. A company which roots get back to the nineteen century and its turbulent history is certainly not less interesting that those we’ve described so far. Due to numerous meetings with former workers and many hours spent in archives we managed to gather enough material to describe the history of Polish Optical Industries (PZO). If you want to go back to the beginning of that story you must start with the second half of 19th century. In that era the first serial production of optical devices started in Warsaw. At the end of 19th century there were already more than a dozen of Warsaw companies which offered optical equipment. The most serious marked position in this business was occupied by Aleksander Ginsberg – the founder of a photo-optical manufacture called “The First Factory of Optical Instruments in the Country FOS”. Ginsberg is universally considered to be the creator of optical business on Polish territories. He was born in 1871 in Sosnowiec but he studied in Paris and he obtained his engineer diploma in Berlin. For many years he worked for Krauss in Paris and for Zeiss in Jena, two very well-known optical producers at that time, as the chief constructor. When he returned to Warsaw he set up the famous FOS in 1898, which name was changed in 1902 into “FOS Limited Partnership Society Ginsberg and Co”. In 1904 FOS employed 30 workers and in 1911 – already 150. The company made profits producing mainly lenses for photographic cameras. Their f/8 aplanatic lenses with focal lengths of 160, 240, 280, and 330 mm were among the most renowned ones. In 1903 several dozen of such FOS planistigmats were ordered by the Parisian manufacturer “Comptoir général de photographie L. Gaumont” for the most popular at that time Block-Notes photographic camera (4.5×6 cm format). 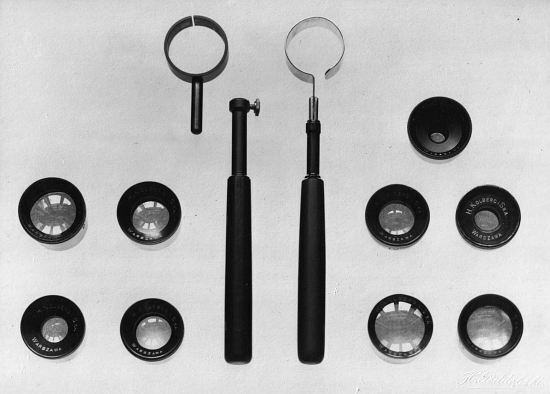 FOS lenses were also used with Krugener photographic cameras (Minimum), Hutting (Ideal) and Kodak devices (9×12 format among others). 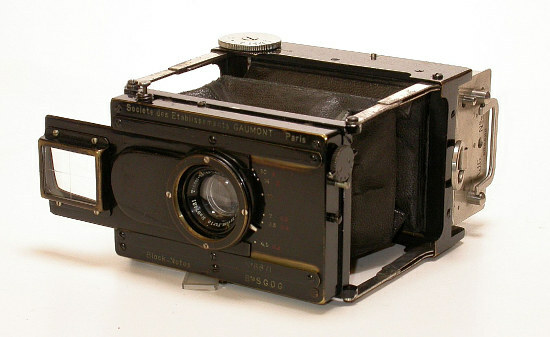 Apart from the lenses, FOS produced photographic cameras as well. 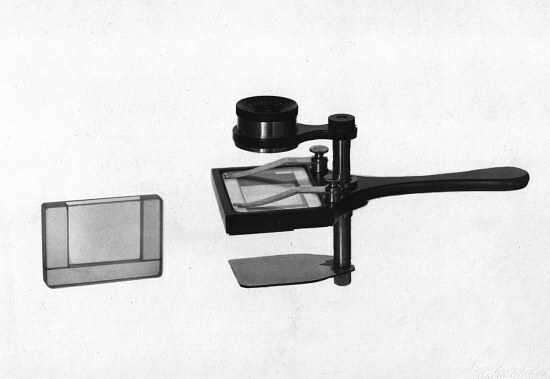 The most interesting models were stereoscope 4.5x6 cm cameras called Sterotes. They featured two photographic lenses, one scope lens and a roller blind shutter. FOS manufactured also geodesic instruments, spotting copes, prismatic binoculars and gun-layers for the army. After the death of Aleksander Ginsberg on 13 July 1911, later fate of his factory is not entirely known. One versions says that in 1915 the factory was dismantled and machines and workers - evacuated to Petersburg. Other sources state that FOS ceased to exist already in 1912, after incorporating the whole factory into the optical-mechanical division of Obuchowskie Industries in Petersburg. Anyway the history of FOS ends in the Obuchowskie Industries in Petersburg where, from 1907, the manager of the optical division was a Pole, Karol Hercyk-Pałubiński. The Kolberg factory occupied about 100 square meters in a building situated at Leszno 119 street. The premises were owned by one of the co-founders, Kazimierz Mieszczański. Management consisted of: Henryk Kolberg, the chairman, Leon Malecki, managing director, Karol Hercyk, the supervisor of the factory, George Coro – production manager. 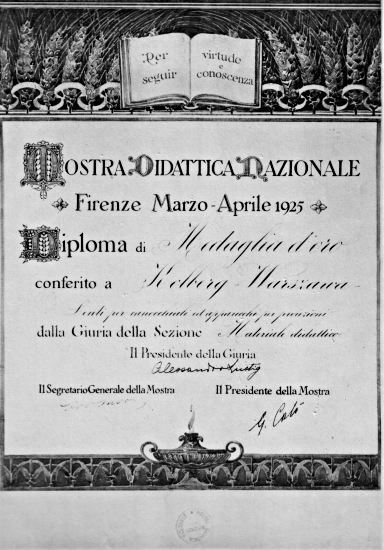 The first master in the Kolberg Industries and the organizer of the optical division at the same time was Edward Stelmaszyński. Karol Hercyk was made a technical manager and Szczepan Stelmaszyński, Jan Baciański and Andrzej Rafałek worked as optics specialists. The rest of the staff consisted of three grinders, two aligners, a gluer of optical parts and a controller. It was also necessary to create a mechanical division employing mechanics and a turner, with the master Leopold Nowakowski as their superior. Starting the production, from the technical side, was the task of two masters: Edward Stelmaszyński and Leopold Nowakowski. Creating a production line was not easy and it also involved the training new employees. Missing machines and tools were made on the spot using DYI methods and the workers also used their own measurement devices brought by them from Petersburg. The first production line eventually consisted of six polishing knives, two automatic tri-fusiform polish-grinders, one aligner and three grinding spindles for initial glass processing. 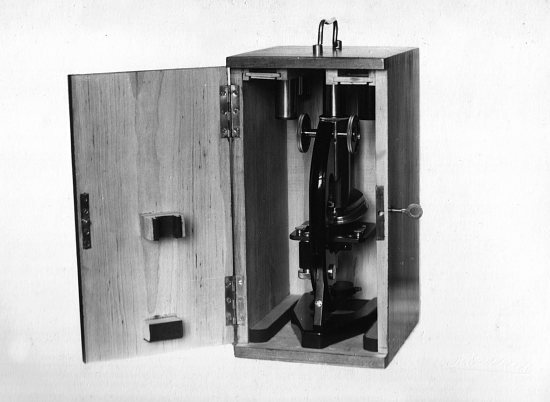 Such was the equipment of the optical division, supported by mechanical division led by Georg Coro and master Leopold Nowakowski, which had one milling machine, one screw-cutting lathe and several drill bits. The factory didn’t feature any technology or design office. Oskar Kolberg, the son of the founder of the factory, worked as a technical manager. The constructors were aforementioned managers of optical and mechanical divisions, Karol Hercyk and George Coro. The Kolberg’s company was set up at the end of 1921 but the factory started production only in March 1922. Of course at first they didn’t produce devices ready for sale. 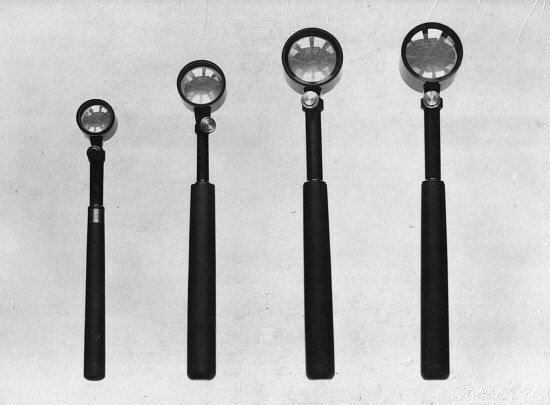 To begin with the mechanical division had to make tools for the optical division such as grinding wheels, domes, grinding glue-core shafts and polishing shafts, centering handles. 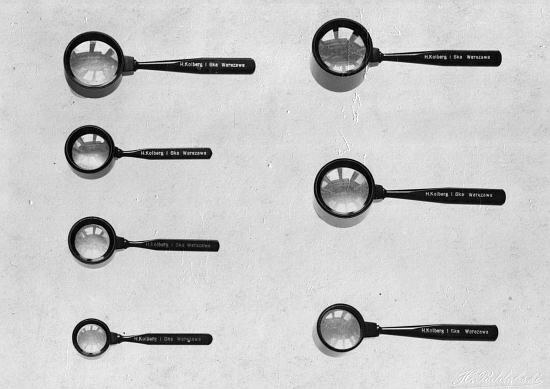 They also had to prepare tools necessary for starting the basic production line of binoculars. Materials for optical production were imported – polishing tar and polishing powders from Germany, optical glass from France (Parra Mantois foundry) and partially from Germany (Schott foundry owned by Zeiss). The optical division started from the production of flat and spherical interference tests. 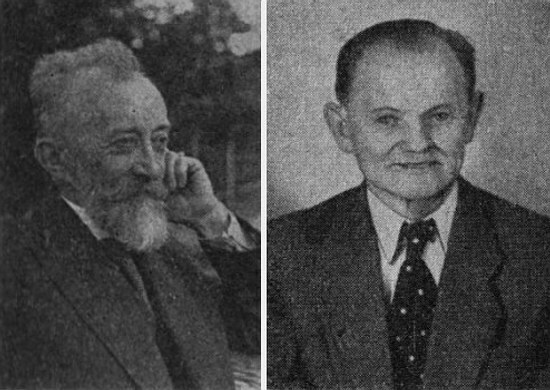 Their constructors were Szczepan Stelmaszyński and Jan Baciański. They also started to produce 6x achromatic loupe magnifiers. 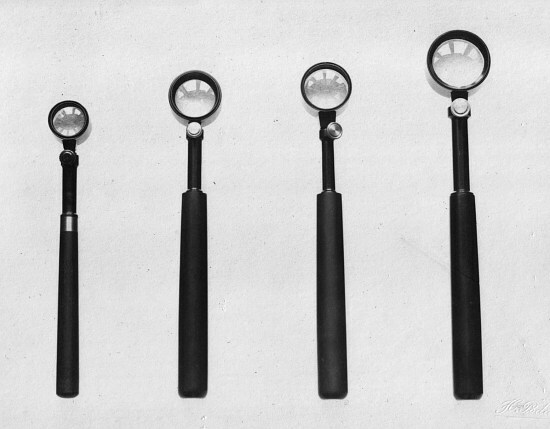 The line-up of loupe magnifiers grew bigger which can be seen in the photos. In the second half of 1923 they finally started a serial production of optical parts for military binoculars (they will be described in more detail further) which main receiver was the Ministry of Martial Affairs of the time. The orders were so numerous that they decided to move the factory to a new location because the buildings became too cramped, limiting the extension of the factory. In 1923 a new three-storey building at Grochowska street 316 was bought. Previously it housed a factory producing snuffboxes, which had been exported mainly to Russia. Unfortunately after 1918 that export ceased and the local market proved to be too small so the production was stopped. 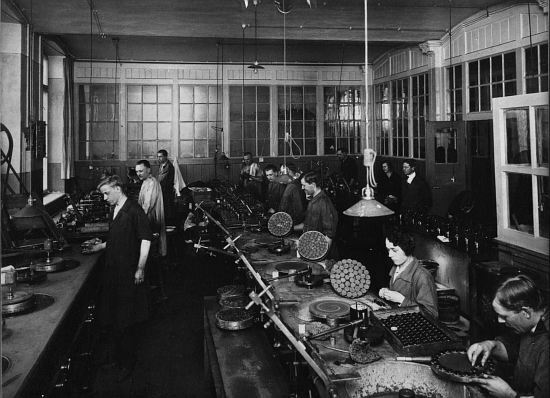 Due to a much bigger floor surface of the Grochowska street building, amounting to 1,500 square meters, the Factory of Optical and Precision Devices H.Kolberg & Co could be developed further. 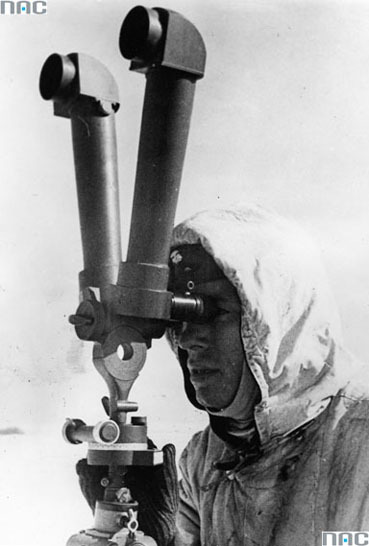 Apart from binoculars, they started producing battery dial sight-compasses. Binoculars were still the first and the most important instruments produced for the army. The production was started by the 6×30 model – with 6x magnification and 30 mm objectives – modelled after German Zeiss devices. According to our sources under the terms of an agreement, drawn as of 17 November 1922 between the Kolberg’s factory and the 3rd Department of Artillery and Weaponry of the Ministry of Martial Affairs, they were to produce 1000 pairs of binoculars (priced 125.000 Polish marks for one pair). To accelerate the production the Department made available construction drawings coming most likely from Obuchowskie Industries and concerning a Russian set of binoculars with the same parameters, which has been produced since 1907 in Russia. The Polish 6×30 construction, which about 60-80,000 pieces were manufactured till 1939, was most probably modelled on it. The body of the 6×30 binoculars was made of aluminum as sand molded casting. 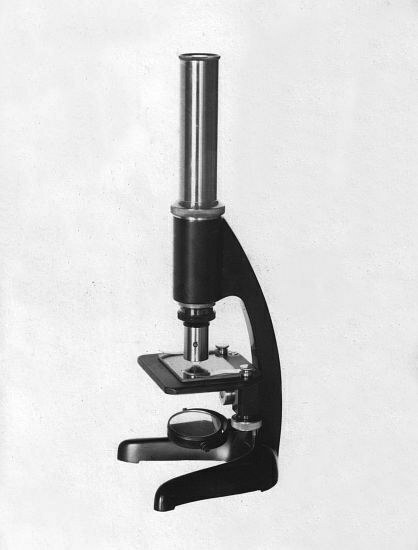 The eyepieces were made of brass and the caps - made of brass metal sheet. On the body of the binoculars there was a name „H.Kolberg i Ska Warszawa WP” and next to its right eyepiece there were inscribed the device’s parametes “6×30”, a serial number and a little eagle. The weight of such a pair of binoculars was about 630 grams but the casing was modernized so it became physically lighter with the passing time. 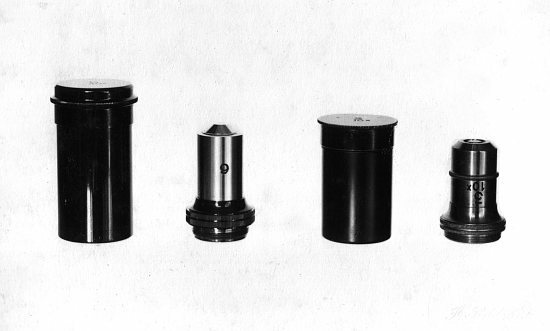 The brass in eyepieces and caps was substituted by non-corroding aluminum alloy (antikorodal) and, when a pressure foundry of aluminum was set up, it became possible to reduce the thickness of the sides and improve the whole processing. These and similar innovations allowed to make the binoculars lighter by about 400 grams. Leather cases for binoculars were delivered all the time by the A.Chojecki company from Warsaw. The development of 6×30 pair of binoculars is attributed to an engineer called Tadeusz Malinowski who graduated from École supérieure d’optique (Institute of Optics) in Paris. 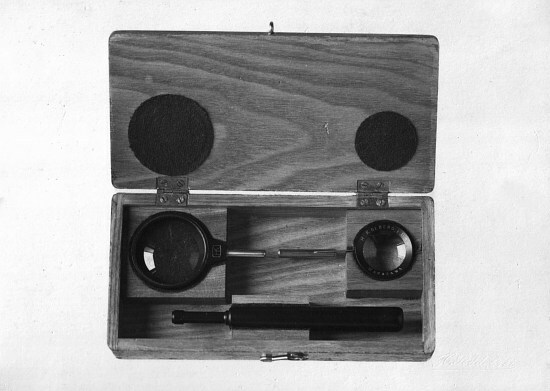 The eyepiece, constructed by him was supposed to be so good that during the occupation period Zeiss, the managing director of his German factory, ordered to deliver him Malinowski’s computations and used them in his own binoculars, produced in Jena at that time. Numerous positive opinions prove the high quality of that Polish pair of binoculars. When in 1930 they were presented during a competition in the USA, organized by the General Headquarters of the American Army and the panel of judges liked it a lot – they considered it the lightest of all presented devices. Another such an event took place in 1935 - Canada organized a field binoculars competition and the Polish 6×30 device took part in it. It happened to be considered the best and there was even a suggestion of building a Polish factory in Canada or importing assembled binoculars. Unfortunately too many Polish Army orders made all cooperation with Canada impossible. The Polish factory almost produced 7×50 class binoculars for Navy as well. 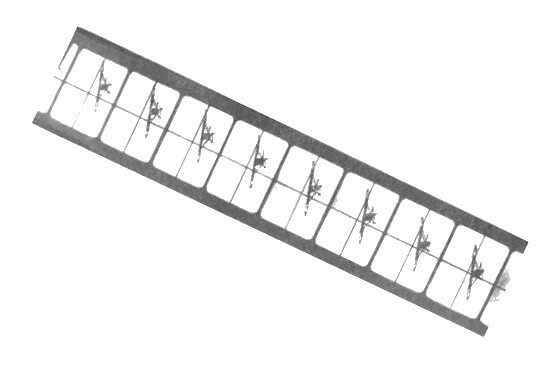 The 6×30 model was not fit for night observations of objects far away and the Navy cared about a night device the most. 7×50 models of English companies Barr and Stroud and of French company Krauss were compared and it was decided it would be the best to model the new device on the French construction. Unluckily the producer needed an order of at least 1000 pairs for the production to be profitable and this requirement couldn’t be met by the Polish Navy. During the interwar period an 8×30 instrument was designed as well; they also produced an 8×40 model. Its main consumer was the League of Anti-Aircraft and Anti-Gas Defense. 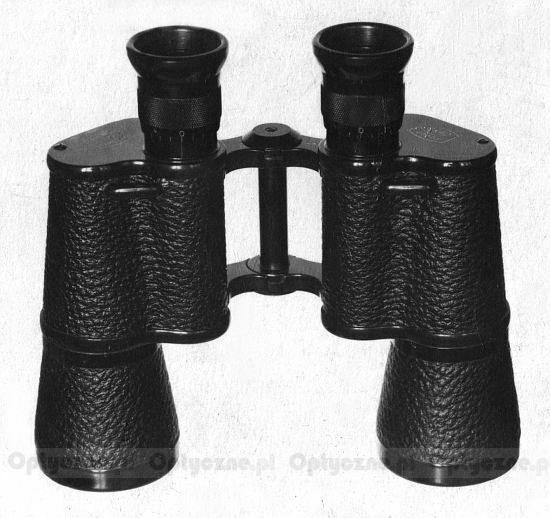 The price of this pair of binoculars allegedly was 370 zloty but we lack detail concerning when exactly it was produced and what was the production volume. 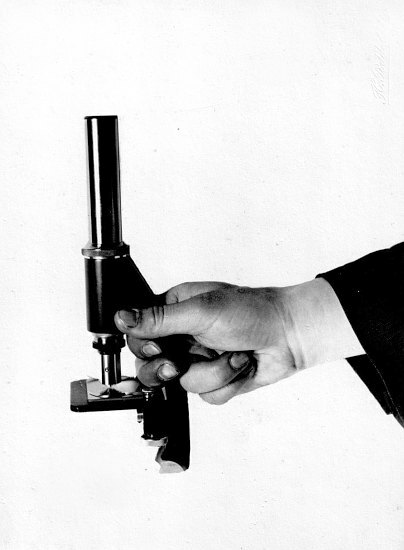 There was also a project concerning a simple Galileo 4×40 binoculars. It was supposed to be a device three times cheaper than the 6×30 instrument, aimed at soldiers, without any movable parts but optically light, sealed, durable and lightweight. 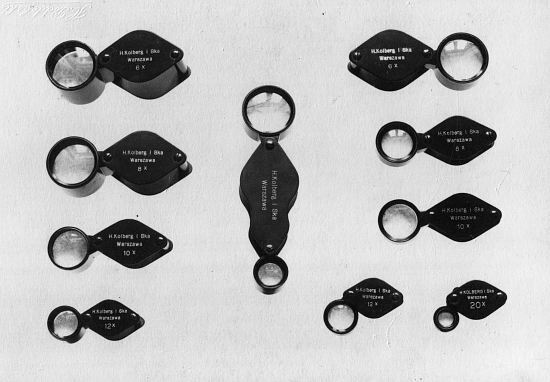 A sample of 10 pieces of such binoculars was produced for the Weaponry Department. Nowadays we don’t know whether or not there were more orders. The second employer of the Kolberg company, after the army, were Education and Health departments. 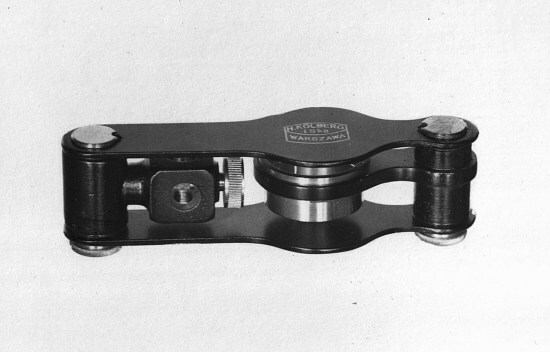 In 1925 they started the production of aplanatic and achromatic loupe magnifiers with the magnification ranging from 6x to 20x. 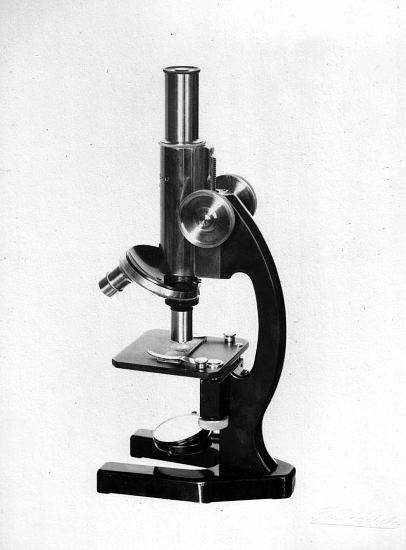 In years 1926-27 three series of school microscopes were produces: an universal laboratory series, a field one and a showpiece one. They featured magnification ratios from 50x to 400x, had 10x and 40x objectives and 5x and 10x eyepieces. 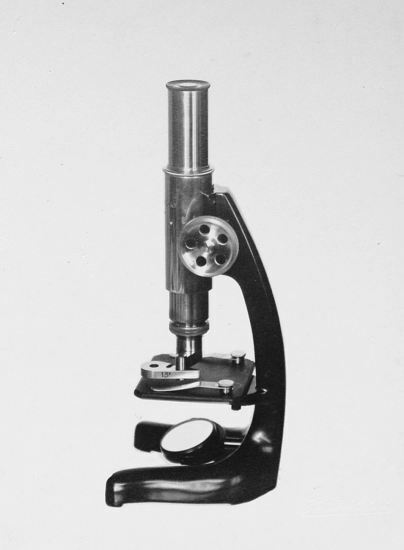 Since 1939 there were many models of microscopes produced. All of them were of Polish construction although often modelled on foreign devices. 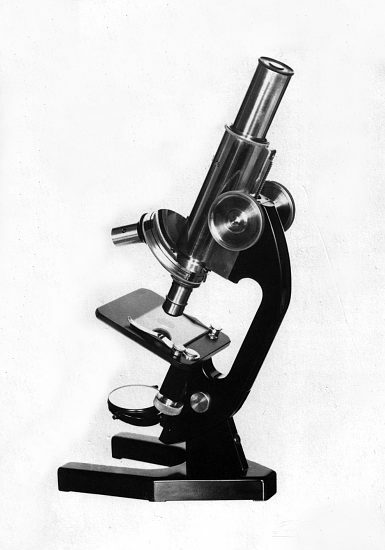 Among them there was a small school microscope, a laboratory microscope with a revolver apparatus, a microscope for meat examination, a trichinoscope and different microscopes for scientific purposes. Aleksander Wysocki, engineer, was the manager of the microscope division. The products coming from the Kolberg factory enjoyed a very good opinion, mainly because a meticulous quality control system, including individual parts and ready products as well. The company wanted to produce devices of the highest quality, able to rival foreign instruments. That’s why Polish products were often awarded golden medals on different local and international fairs and exhibitions: in 1925 in Florence during a National Didactic Exhibition and in 1926 on an International Fair in Liege. In 1927 the Kolberg’s factory employed over 180 people and they were still hiring more. Apart from that, because of huge army orders, they ran out of space again. In 1929 two more storeys were added on top of the Grochowska 316 building, increasing the floor surface to 2,500 square meters. One year later a new building was designed with the surface of 1,900 square meters, situated at Kamionkowska street. Its construction started in 1932 and was finished after two years. In that new building a workshop and optical assembly was located, as well as justification and quality control division. Some equipment for powder-coating anti-reflection layers was also installed there. They started the production of rangefinders and sights for anti-aircraft cannons as well as central cameras and rangefinders for anti-aircraft artillery. In the meantime, in1930, Heryk Kolberg decided to withdraw from the partnership. There is no confirmed information why the split took place but most likely the lack of loyalty towards other shareholders from the side of Kolberg was the main reason. Supposedly, along with Commercial Bank, Kolberg was going to sell the controlling interest behind his partners’ back to the French company Schneider. To prevent it from happening one of the shareholders, Kazimierz Mieszczański, bought shares belonging to Commercial Bank making the Schneider takeover impossible. After a short period of time Kolberg withdrew his shares, selling them to Optique et Précision de Levallois (OPL). The shares went also to the Krauss Industries and Barbier Bénard et Turenne (BBT). Other shareholders, basing on the remains of Factory of Optical and Precision Devices, created a new company called “Polish Optical Industries”. The PZO acronym (from the Polish name “Polskie Zakłady Optyczne”) inside an outline of a lens along with the word „Warszawa” became the brand name of Polish Optical Industries for next decades. 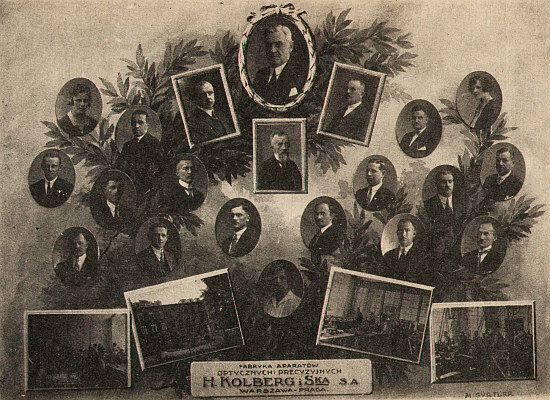 Kolberg, after the withdrawal from the company, set up his own firm under the old name of H.Kolberg and Co and started producing optical equipment. He wanted to compete with the new PZO which he had helped to create in 1921. In years 1936-1937 his new company, although already managed by his son, Stefan (Henryk Kolberg passed away on 10 June 1935) took part in a tender put out to a pair of binoculars by the Weaponry Department of the Ministry of Martial Affairs and won it, mostly because they offered a competitive price. There are two versions of events what happened next. The first one, a bit less probable, says that the Kolberg company lost so much in the process of initiating and organizing the production that they didn’t manage to carry out that order and it was taken care of by PZO. The second version is a bit more optimistic. 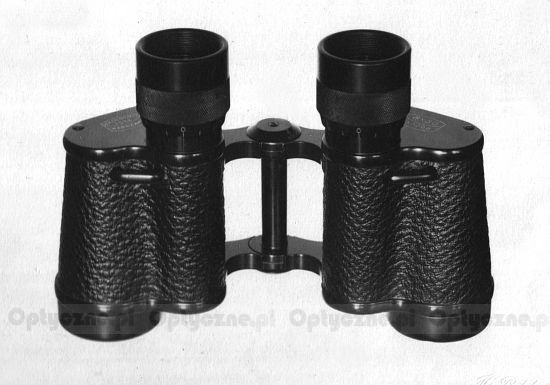 An order for 2200 pairs of binoculars with the parameters of 8×30 for the army was completed before 1939 despite a small defect discovered in two sample specimen (with the serial numbers of 80002 and 80003). That small flaw was accepted by the army with the reservation that it wouldn’t be repeated in the future. During the Nazi occupation the production of binoculars in the Kolberg company was continued but, of course, the German army was their main customer then. Some of the produced models found their way into hands of the Polish resistance movement as well. After the Uprising in 1944 the Kolberg company was closed and its equipment was moved to PZO, as it was being revived after the war. 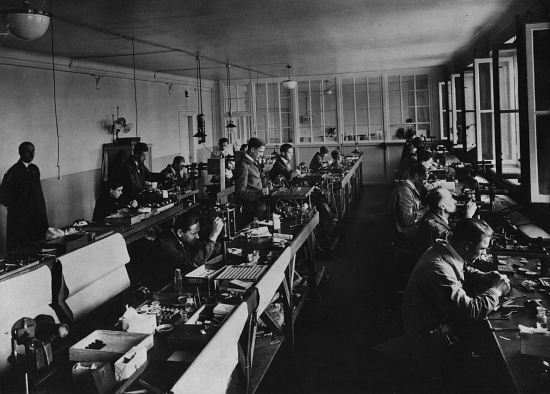 Let’s return to the history of Polish Optical Industries or, before 1930, the history of “Factory of Optical and Precision Devices H.Kolberg & Co”. The resignation of Kolberg and the change of name into “PZO” didn’t influence the production and development of the company. Everything went as usual apart from signing the products with a new logo. That’s why from that point we are going to use the name “PZO” even if we describe events before 1930 so in fact concerning “ Factory of Optical and Precision Devices H.Kolberg & Co”. 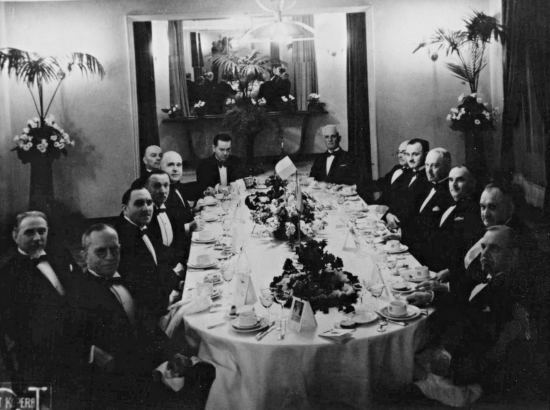 During the whole interwar period the main customer of PZO was the Polish army but the factory had also foreign orders from Portugal and England. Apart from aforementioned 8×30 binoculars, PZO also produced battery dial sight- compasses (2,000 pieces), artillery observation equipment – trench periscopes (200 pieces), artillery reconnaissance devices (700 pieces) sights for heavy machine guns (3,000 pieces), anti-tank cannons (3,000 pieces) and anti-aircraft cannons (800 pieces) but also aircraft sights RH-32 for bomb dropping. While producing such devices they used either foreign licenses or their own designs. 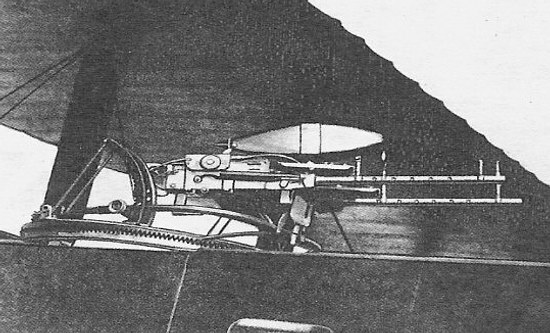 For example stereoscopic rangefinders were based on French construction of Krauss company and artillery reconnaissance devices, sights for heavy machine guns and bombs were projects designed completely by PZO. An example of military trench periscope. A German artilleryman is observing terrain on the Eastern front through a trench periscope. A photograph from the collection of the National Digital Arichive. At the end of 1930 designing work for Polish trench periscope P/31 was started. The design was modelled after French and German instruments although finally the production technology was bought from the French company Krauss for 31,000 zloty. The trench was priced at 5,300 zloty and the first batch for the army was supposed to contain 200 pieces. 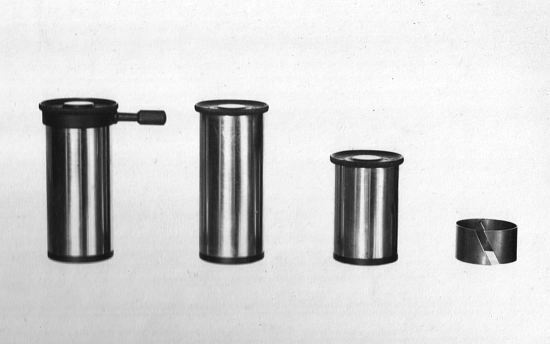 The problems with glass delivery and numerous construction changes caused a significant delay in production; as a result the periscopes were collected only in 1935. In years 1930-33 PZO was commissioned by Air Force to produce a great number of aircraft board equipment. The cooperation involved air photo production started by and large in 1928 as repairs of French gun cameras with the focal lengths of 300 and 750 mm, used for espionage and topography photos. For those purposes a workshop with a darkroom was organized and on the roof of neighbouring RYGAWAR factory a shield with signs for control photos was installed. Jan Krukowski, a chemist and a photographer, was responsible for it, along with three mechanics: Markiewicz, Wesołowski and Kloze. However the orders from the Air Force in 1930 became a serious challenge for PZO. The agreement anticipated the production of, among other devices, KW Monorex automatic board photographic cameras with the focal length of 70 mm (74 pieces), KR Toporex photographic cameras with the focal length of 350 mm for manual photo taking (with the shift of the film performed by pressing the levers built into the handles of the camera (111 pieces)) and gun cameras with an built-in stopwatch so quick-firing photographic cameras, installed inside the planes along with machine guns and triggered by the firing of a weapon which were used to help measuring tactical effectiveness and to train air gunners (300 pieces). Board cameras with manual film shift were the original construction of PZO and the automatic cameras and gun cameras were manufactured under license of French Krauss company from Paris. The mechanical parts were imported from France and optics and assembly was done in Warsaw. So was created a series of about three hundred K-28 gun cameras based on the French construction marked 23/27. The K-28 was smaller and lighter than other foreign constructions of that time (it weighed 3,5 kg). Its lens had 165 mm focal lens and f/5.0 aperture. The photos were taken with the constant shutter speed, amounting to 1/150 of a second, and registered on a film with the frame dimensions of 4.5x6 mm. The gun cameras were linked into a machine gun so pulling the trigger was tantamount to releasing the shutter of the gun camera. In 1935 PZO signed an agreement also with Polish Navy. They constructed equipment to guide artillery fire and torpedo weaponry for “Grom” and “Błyskawica” warships. The same year a license agreement was concluded with a Dutch company Nediusco and, most likely, PZO also produced periscopes for two submarines: ORP Orzeł and ORP Sęp. A big number of army orders made it necessary to invest in new buildings. 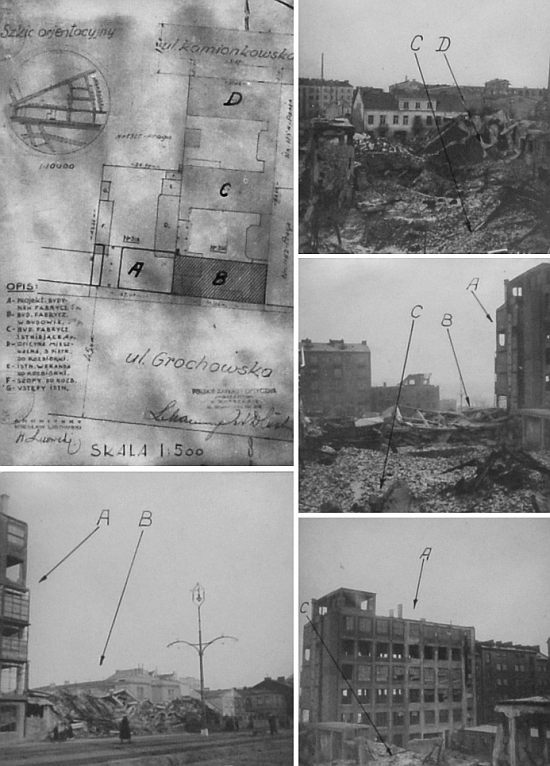 In 1936 they started the construction of a 5-storey building at Grochowska 316, where the mechanical division was moved. It was opened in 1939. In the meantime they bought a plot of land at Grochowska 318 and started the construction of a 4-storey front building which wasn’t finished. 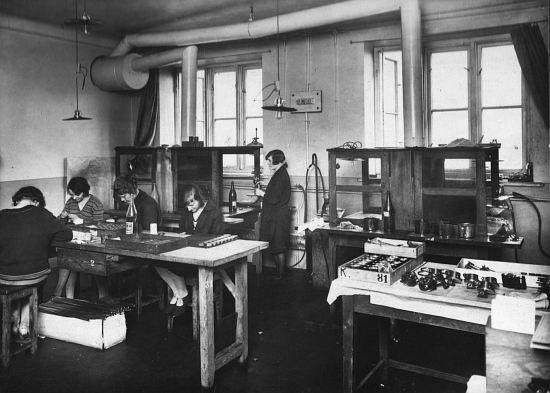 The growing production of microscopes forced them to rent a business establishment at Terespolska street - the carpentry workshop was moved there. 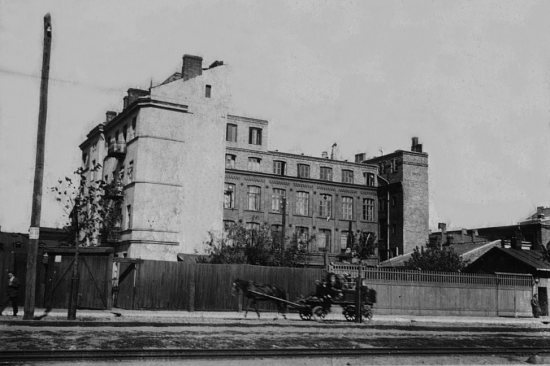 In 1938 they bought a one- storey building with adjacent sheds and garages at Kamionkowska 13 which was situated opposite the newly constructed PZO building. In that place, after the WWII, the reconstruction of PZO started. In 1939 the company also bought some plots in Kielce to build a division producing anti-aircraft reflectors and bugging devices. The steep increase of floor surface proves that the optical industries before WWII were developing in a very dynamic way: from 1,500 square meters in 1923 to 8,400 square meters in 1939. The attack of Nazi Germany on Poland in September 1939 forced the evacuation of the PZO factory. The order issued on 5 September anticipated moving the Industries to Lwów, and more precisely to Jan Bujak company – a firm existing from 1921 and the third biggest optical equipment producer in Poland, after PZO and the Kolberg company, set up in 1930. If not for the onset of the war, they would have also produced 6×30 binoculars - the agreements signed with the Polish Army envisaged starting their production after 1940. When the PZO staff and machines arrived to Lwów, they found out that starting the production was impossible there due to air raids. Workers were directed to Zdołbunów where they found a shelter in a school. They couldn’t organize the production there as well so they decided to return to Warsaw. Already in October 1939 a member of the Carl Zeiss from Jena management went to Warsaw to find his bearing before the intended takeover of the factory. Germans decided to change the name from “Polish Optical Industries” to „Optische Präzisions-Werke GmbH” which, in free translation, means “Optical Precision Manufacturing Company”. Still, 99% of the staff were Poles. The managers were Germans, though, and the workers were guarded by armed industrial security guards. 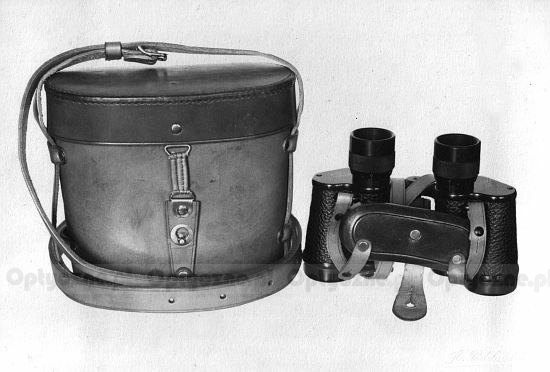 The first optical device, produced during the occupation period, was a 6×30 military pair of binoculars which body was made of Duralumin using the method of injection moulding cast. Further on they produced among others a one-meter rangefinder, Bush telescope and a trench periscope. Half-products for such instruments were brought from Jena, glass and abrasive materials also came from the Zeiss company. As the demand for the optical equipment was increasing steadily and the former machines of PZO were hardly enough, the management started to send machine tools from Germany – among them some devices originally designed and made by Zeiss himself. At the end of 1943 the warehouses of the factory were full of machines brought from Jena and their number was higher than it was needed. That way the Germans tried to save their stock of tools from air strikes over the territories of the Third Reich. One of the more interesting stories from the period of Nazi occupation concerned events which happened in the middle of 1944, when a spark of hope that the liberation could be near appeared among people. The PZO workers were given an order to make metal cases and boxes for the German management. It suggested that the Nazis were planning a retreat. 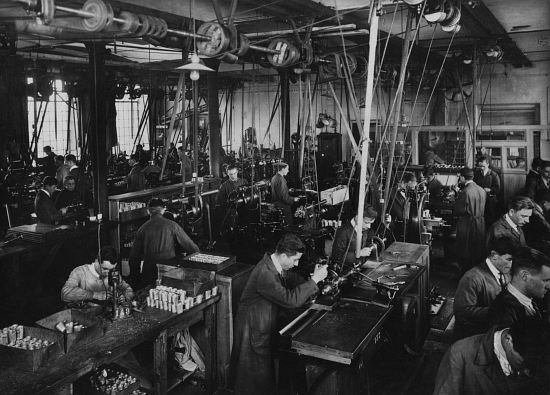 To that time all German orders were performed very slowly, even sluggishly, being often sabotaged; people used to pretend that they lacked spare parts for machines in order to slow down the production. However the said metal cases were made very quickly and people worked on them with good cheer. In August 1944 Germans started the evacuation of the factory. Machines were loaded onto trucks and taken to railway stations; they were supposed to go to the territories of Czechoslovakia, to a place called Teplice-Sanow. A group of workers led by engineer Cegliński was taken there as well. In September 1944 empty PZO buildings were blown up by Germans. The destruction of buildings and the lack of machines didn’t mean the end of Polish Optical Industries. In the second part of this article we will tell the postwar history of PZO. Optyczne.pl editorial staff would like to thank very warmly to Mr. Zdzisław Kamionkowski, a PZO worker of long standing, who made available plenty of materials which helped us to write this article. We also thank to the PZO company for allowing us to use their archive photographs.